The industry leading website crawler for Windows, MacOS and Ubuntu, trusted by thousands of SEOs and agencies worldwide for technical SEO audits. 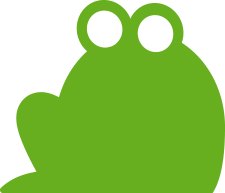 The Screaming Frog SEO Spider is a website crawler, that allows you to crawl websites’ URLs and fetch key elements to analyse and audit technical and onsite SEO. Download for free, or purchase a licence for additional advanced features. What can you do with the SEO Spider Tool? The SEO Spider is a powerful and flexible site crawler, able to crawl both small and very large websites efficiently, while allowing you to analyse the results in real-time. It gathers key onsite data to allow SEOs to make informed decisions. Crawl a website instantly and find broken links (404s) and server errors. Bulk export the errors and source URLs to fix, or send to a developer. Find temporary and permanent redirects, identify redirect chains and loops, or upload a list of URLs to audit in a site migration. Analyse page titles and meta descriptions during a crawl and identify those that are too long, short, missing, or duplicated across your site. Discover exact duplicate URLs with an md5 algorithmic check, partially duplicated elements such as page titles, descriptions or headings and find low content pages. Collect any data from the HTML of a web page using CSS Path, XPath or regex. This might include social meta tags, additional headings, prices, SKUs or more! View URLs blocked by robots.txt, meta robots or X-Robots-Tag directives such as ‘noindex’ or ‘nofollow’, as well as canonicals and rel=“next” and rel=“prev”. Quickly create XML Sitemaps and Image XML Sitemaps, with advanced configuration over URLs to include, last modified, priority and change frequency. Connect to the Google Analytics API and fetch user data, such as sessions or bounce rate and conversions, goals, transactions and revenue for landing pages against the crawl. Evaluate internal linking and URL structure using interactive crawl and directory force-directed diagrams and tree graph site visualisations. Licences last 1 year. After that you will be required to renew your licence. * The maximum number of URLs you can crawl is dependent on allocated memory and storage. Please see our FAQ. Some of the biggest brands & agencies use our software. The SEO Spider is regularly featured in top publications.
" Out of the myriad of tools we use at iPullRank I can definitively say that I only use the Screaming Frog SEO Spider every single day. It's incredibly feature-rich, rapidly improving and I regularly find a new use case. I can't endorse it strongly enough. " " The Screaming Frog SEO Spider is my "go to" tool for initial SEO audits and quick validations: powerful, flexible and low-cost. I couldn't recommend it more. " Errors – Client errors such as broken links & server errors (No responses, 4XX, 5XX). Redirects – Permanent, temporary redirects (3XX responses) & JS redirects. Blocked URLs – View & audit URLs disallowed by the robots.txt protocol. Blocked Resources – View & audit blocked resources in rendering mode. External Links – All external links and their status codes. Protocol – Whether the URLs are secure (HTTPS) or insecure (HTTP). URI Issues – Non ASCII characters, underscores, uppercase characters, parameters, or long URLs. Duplicate Pages – Hash value / MD5checksums algorithmic check for exact duplicate pages. Page Titles – Missing, duplicate, over 65 characters, short, pixel width truncation, same as h1, or multiple. Meta Description – Missing, duplicate, over 156 characters, short, pixel width truncation or multiple. Meta Keywords – Mainly for reference, as they are not used by Google, Bing or Yahoo. File Size – Size of URLs & images. H1 – Missing, duplicate, over 70 characters, multiple. H2 – Missing, duplicate, over 70 characters, multiple. Meta Robots – Index, noindex, follow, nofollow, noarchive, nosnippet, noodp, noydir etc. Meta Refresh – Including target page and time delay. Canonical link element & canonical HTTP headers. Pagination – rel=“next” and rel=“prev”. Follow & Nofollow – At page and link level (true/false). hreflang Attributes – Audit missing confirmation links, inconsistent & incorrect languages codes, non canonical hreflang and more. AJAX – Select to obey Google’s now deprecated AJAX Crawling Scheme. Inlinks – All pages linking to a URI. Outlinks – All pages a URI links out to. Anchor Text – All link text. Alt text from images with links. Images – All URIs with the image link & all images from a given page. Images over 100kb, missing alt text, alt text over 100 characters. Custom HTTP Headers – Supply any header value in a request, from Accept-Language to cookie. Custom Source Code Search – Find anything you want in the source code of a website! Whether that’s Google Analytics code, specific text, or code etc. Custom Extraction – Scrape any data from the HTML of a URL using XPath, CSS Path selectors or regex. Google Analytics Integration – Connect to the Google Analytics API and pull in user and conversion data directly during a crawl. Google Search Console Integration – Connect to the Google Search Analytics API and collect impression, click and average position data against URLs. External Link Metrics – Pull external link metrics from Majestic, Ahrefs and Moz APIs into a crawl to perform content audits or profile links. XML Sitemap Generation – Create an XML sitemap and an image sitemap using the SEO spider. Custom robots.txt – Download, edit and test a site’s robots.txt using the new custom robots.txt. Rendered Screen Shots – Fetch, view and analyse the rendered pages crawled. Store & View HTML & Rendered HTML – Essential for analysing the DOM. AMP Crawling & Validation – Crawl AMP URLs and validate them, using the official integrated AMP Validator. XML Sitemap Analysis – Crawl an XML Sitemap independently or part of a crawl, to find missing, non-indexable and orphan pages. Visualisations – Analyse the internal linking and URL structure of the website, using the crawl and directory tree force-directed diagrams and tree graphs. Structured Data & Validation – Extract & validate structured data against Schema.org specifications and Google search features.
" Screaming Frog Web Crawler is one of the essential tools I turn to when performing a site audit. It saves time when I want to analyze the structure of a site, or put together a content inventory for a site, where I can capture how effective a site might be towards meeting the informational or situation needs of the audience of that site. I usually buy a new edition of Screaming Frog on my birthday every year, and it is one of the best birthday presents I could get myself. " The Screaming Frog SEO Spider allows you to quickly crawl, analyse and audit a sites’ onsite SEO. It can be used to crawl both small and very large websites, where manually checking every page would be extremely labour intensive (or impossible!) and where you can easily miss a redirect, meta refresh or duplicate page issue. You can view, analyse and filter the crawl data as it’s gathered and updated continuously in the program’s user interface. The SEO Spider allows you to export key onsite SEO elements (URL, page title, meta description, headings etc) to Excel so it can easily be used as a base for SEO recommendations. Our video above provides a demonstration of what the SEO tool can do. For just £149 per year you can purchase a licence, which removes the 500 URL crawl limit, allows you to save crawls, opens up the spider’s configuration options and custom source code search, extraction and Google Analytics, Search Console and link metrics integration features. Alternatively hit the ‘buy a licence’ button in the SEO Spider to buy a licence after downloading and trialing the software. As default the SEO Spider crawls sites like Googlebot (it obeys allow, disallow directives and wildcard support like Googlebot), but presents its own user-agent ‘Screaming Frog SEO Spider’, which it will obey specific directives for in robots.txt. If there are no directives, it will crawl your site like Googlebot. while still presenting its own UA. Please see our recommended hardware, user guide and FAQ. Please also watch the demo video embedded above! Please read our introduction to crawling using the SEO Spider to get started. Keep updated with future releases of the by subscribing to the our RSS feed or following us on Twitter @screamingfrog. If you have any technical problems, feedback or feature requests for the SEO Spider, then please just contact us via our support. We regularly update the SEO Spider and currently have lots of new features in development!